You can ask your home builder for a list of addresses of recently completed work or to tour their model homes. Drive by the houses to see the final product. Walk through every room and every floor of the model unit. Get a feel for the neighborhood. You can even ask your home builder if you may contact previous customers to assess their experience. Ask if there were any issues, how the builder communicated, and if they would be willing to work with this builder again. Most builders work in a variety of styles, but some specialize in more contemporary houses while others work at integrating new builds into older neighborhoods. Look through the home builder’s design portfolio to verify that they can build the exact style you’re looking for. If you’re looking for a home that’s in a more traditional style, for instance, it makes sense to choose a builder who specializes in that type of home. Having a shared starting point with your custom home builders will help make the overall process much easier. You can, essentially, do a background check on your homebuilder. Look for professional associations such as the National Association of Home Builders. What is their rating with the Better Business Bureau or Angie’s List? Are they part of a local homeowners association, and if so, what is their standing with them? Just like checking with past customers, you can seek out second opinions to verify your custom home builders is right for you. A lot goes into building your dream home and choosing the right home builder will only help to improve the process. 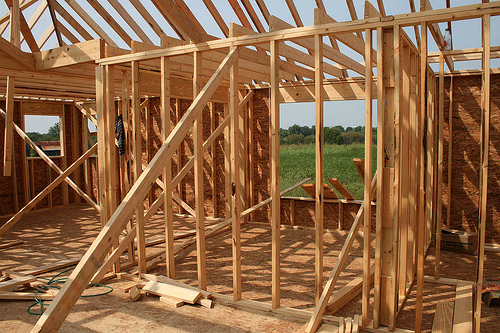 For more questions about our home building process feel free to call us any time. And when the time is right, Regent Homes would love to be your next custom home builder.